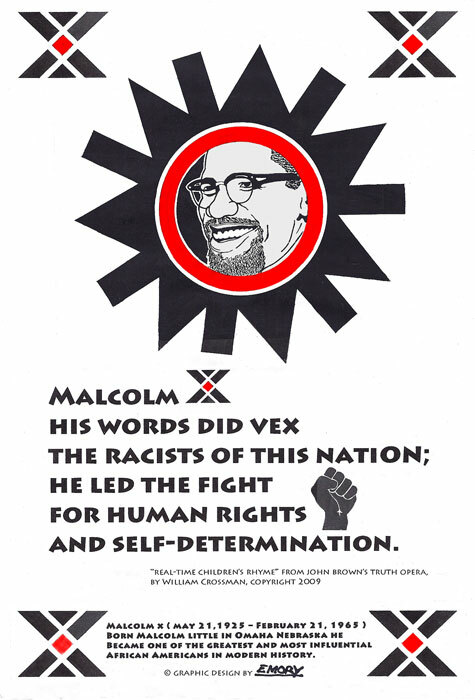 Mimesis has commissioned these original posters by two renowned artists: former Black Panther Minister of Culture Emory Douglas (Malcolm X poster) and human-rights artist-activist Doug Minkler (John Brown poster). 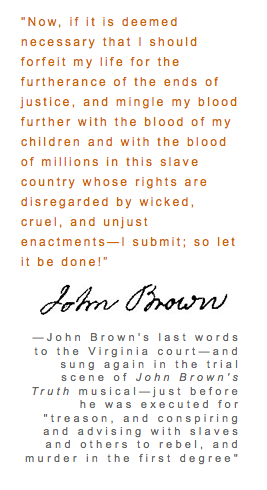 Each poster also contains a rhyme that is spoken onstage by young performers in John Brown’s Truth Musical. 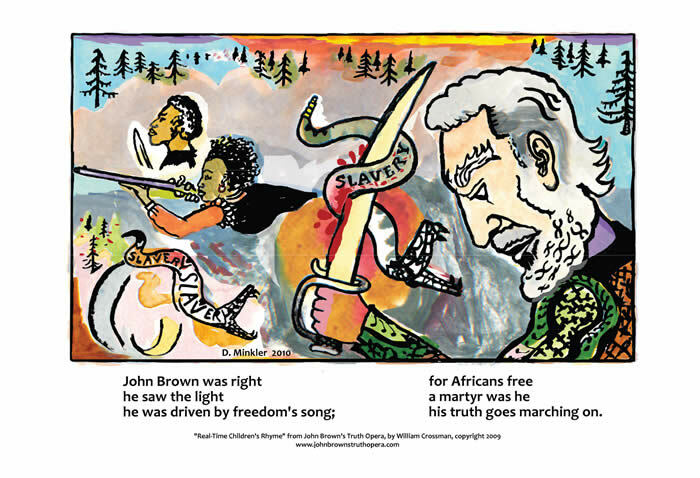 Each 19″ x 13″ full-color poster is available for a tax-deductible contribution of $35. (includes shipping). Please specify which poster(s) and number of posters you want, and mail checks made out to Mimesis. Be sure to include your postal address and email address.